Get a leader with the proper traits today! Leaders have a lot of different traits, but nobody is perfect. Using this site, you can rent a leader for $50-$100 a leader per hour. Mercy/Forgiveness -- For those people who tend to make mistakes and don't like being reprimanded. Empathy -- For those people who want to not only be lead but also understood. Altruism -- For those who tend to get hurt easily. Eloquence -- For those who love to hear the fancy wording. Discernment -- For those who expect to be graded and judged. 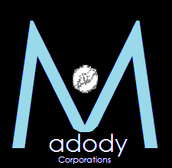 Modesty -- For those who can't stand stuck-ups. Honesty -- For those who do not want to be told how they are perfect little angels. Leadership -- For everyone... it's basically the reason why you are hiring this leader. Confidence -- For those who do not want to be told how they can't do it because nobody's perfect. Commitment -- For all people who have common sense. You don't need a leader who's a slacker. Eleanor Hends is a top quality, well trained leader. She is kind, optimistic, and very forgiving. After taking a personality test, she was deemed ESFJ, meaning she was slightly open and out-facing, slightly more inclined to feel and empathize, and very much inclined to judge people rather than perceive them. When asked about her results, she said, "It's just a computer, it isn't that smart, but it's mostly true. I enjoy being around children and I am not quick to judge. I'm not that social, though." Gary Hurst is a very funny, charismatic man. 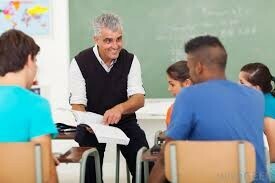 He scored very high in child care, and is just the right person if you want him to care for children. When he took the personality test, he scored ESFJ as well, though his was very different. He was a moderate extrovert, much preferring parties and large groups, a very, very slight preference for sensing and empathy, a slight preference to feeling, and a moderate preference of judging. When asked about his results, he simply replied, "It's what I was expecting, though I do try to temper the judge in me." 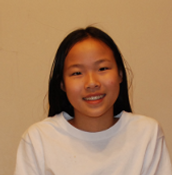 Melody Shen is one of our mid-level tutors, but she is open and friendly. She naturally empathizes, and genuinely enjoys working with your children. When she took her personality test, she scored ISTP- Highly introvert, though it doesn't show, slightly sensing, not really thinking before she runs, simply doing what is best, slightly thinker, thinking things and relationships through, not just running around based on her emotions, and moderately perceiving, not judging and seeing you for who you are. For a full list of all our leaders, click here. I ordered 100 leaders for our school, The Ology Academy of Ologies, and was completely amazed by the productiveness and perfectness of them! All the students commented on how every teacher was exactly suited for their job! I have four children to take care of, and both me and my wife have jobs that keep us away all day. We tried hiring babysitters, but they didn't seem to realize the need of homework. We tried maids, but they didn't work with the kids. We were stuck, and my wife was at the verge of quitting her job to care for our children. One day, one of my colleagues told me how one of his friends was a leader for a job! I was so happy to find that! I told my wife, and we hired a personal leader. It was amazing. When we came home, not only was the homework done and the children safe, they were clamoring about how wonderful their leader was! 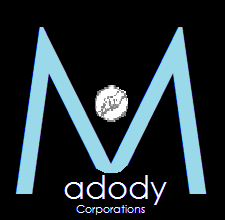 Thank you, Madody Corp! Your satisfaction with our leaders is guaranteed.